The vice-president advocated primary education in one's mother tongue, terming English as an 'illness' left behind by the British. 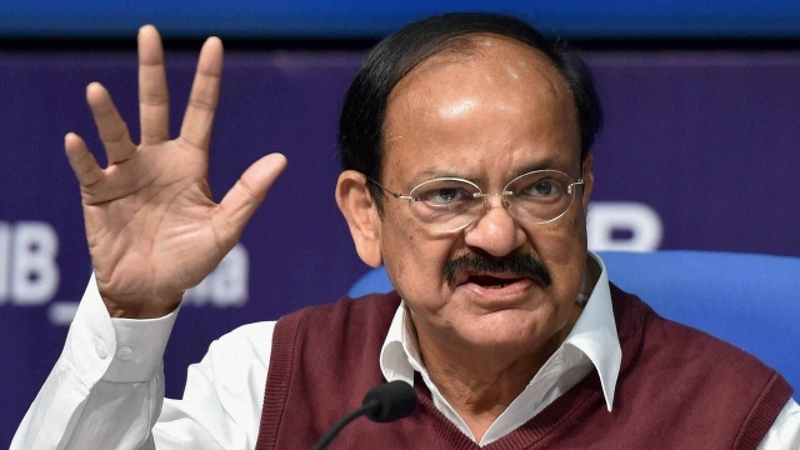 New Delhi: Speaking at a ‘Hindi Divas’ event organised annually by the Union home ministry, vice-president M. Venkaiah Naidu on Friday said progress in India is not possible without Hindi. According to the Hindu, he also advocated for primary education in one’s mother tongue. He said English was an “illness” left behind by the British. “When I was young, I participated in anti-Hindi protests. Later, I realised it was not possible to progress without Hindi. I came to Delhi, spoke in broken Hindi but was accepted by all,” he is quoted as saying by the Hindu. Home minister Rajnath Singh also spoke at the event, where officials and writers who promoted Hindi were felicitated. “When the Chinese president came here he spoke in his mother tongue. The Iranian president, a PhD in English also spoke in his mother tongue when he was here. One should never forget their mother tongue,” he said, according to the Hindu. Naidu said Prime Minsiter Narendra Modi had suggested that people should also learn one other Indian languages apart from their mother tongue. The PM wanted Hindi speakers to learn one language from the south, while south Indians could learn one north Indian language, the vice-president said. “Bank and railway officials speak in English. Those who come to them don’t know the language. You should speak in a language that people know, we have not made any effort in this regard,” he said. Arrangements for members of Rajya Sabha to speak in 22 Indian languages were made, said Naidu, who is also the Chairman of the upper house.